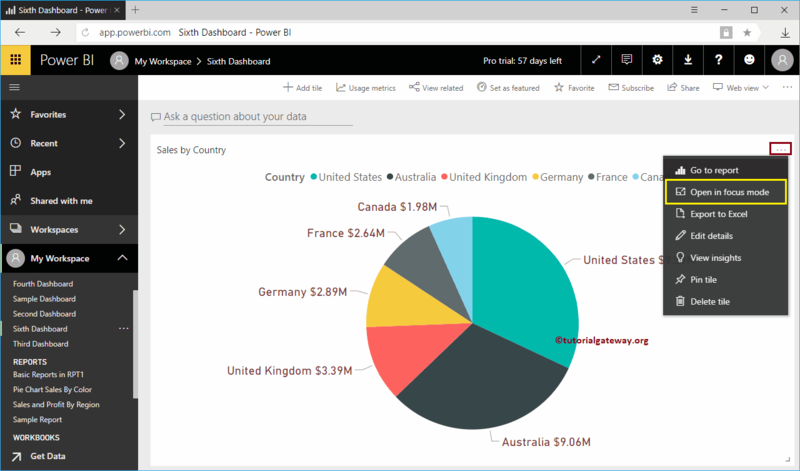 Generally, there are two type of insights in Power BI. One that run on entire dataset, and the other is to run insights on one particular report. Later one allows you to further drill down the insights too. 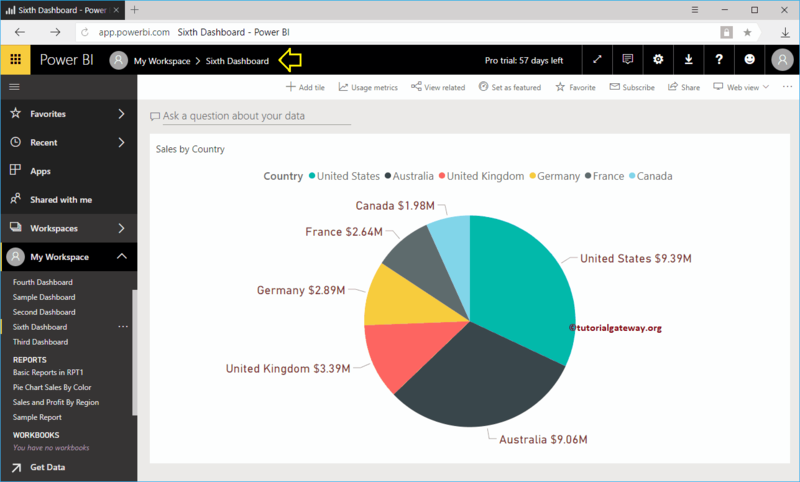 In this article, we will show you, How to get quick insights in Power BI (later one) with practical example. 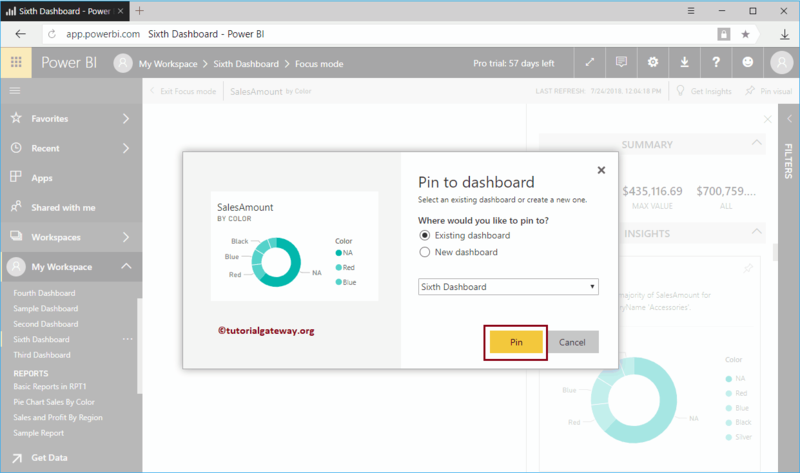 TIP: I suggest you to refer Get Insights article to understand the process of running Power BI algorithms on your dataset (first one). As you can see from the below screenshot, it has only one Pie Chart. In order to get the Quick Insights of a report, you have to click … on the top right corner, and select Open in Focus Mode. Remember, in some versions, there is a button beside that … to enter into focus mode. Once your report is in Focus mode, you can see the Get Insights option on the Top right. 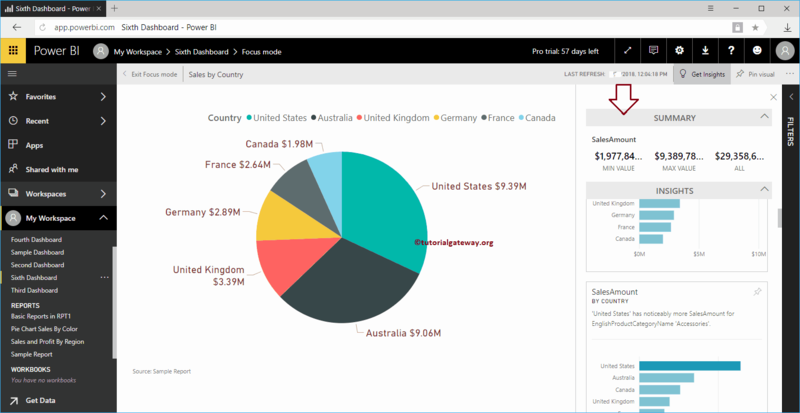 Click that button to display the insights based on this report. 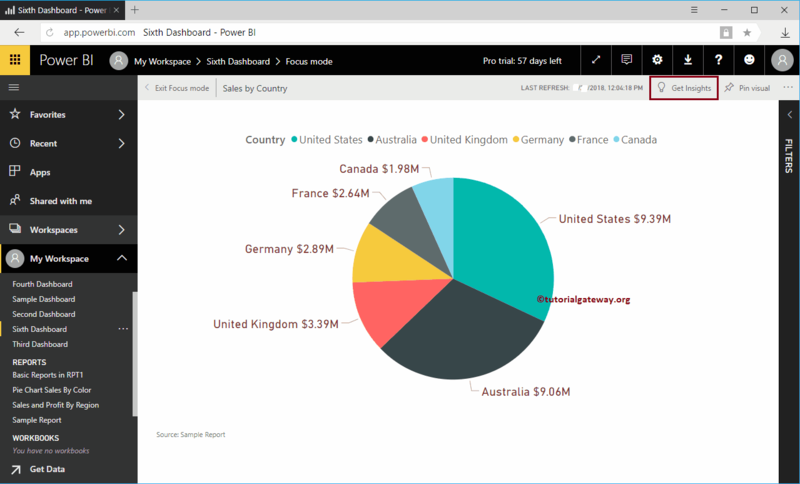 Once you selected, Power Bi will start displaying insights based on this report. If you want to Pin this report to the dashboard then, click the Pin Visual button on the Top right corner. Clicking Pin Visual button will open following window. Let me select Existing dashboard i.e., Sixth Dashboard. 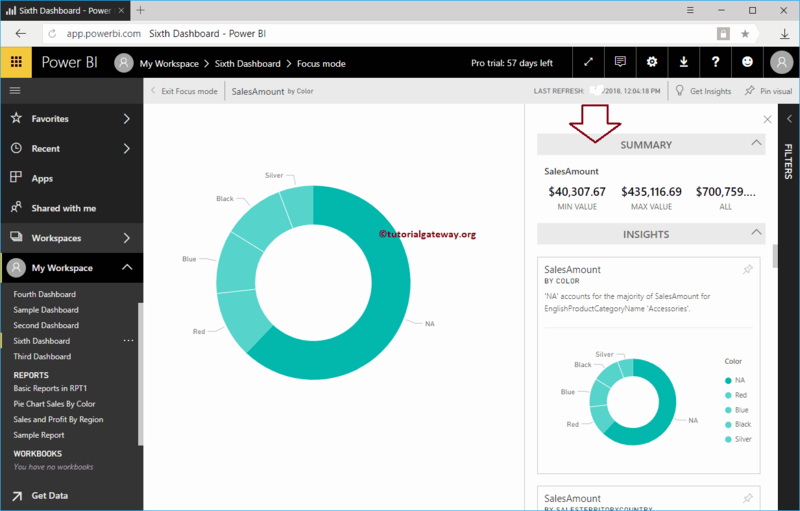 I suggest you to refer Add Report to dashboard or Pin Report to dashboard articles to understand theses settings. Within the Fifth dashboard, you can see the Donut Chart that we pinned before.